Trying to find high-quality optics that are going to allow you to zoom in and get a crystal clear image of your target – even hundreds of yards away – can be a bit of a challenge, unless of course you get your hands on the now legendary Kowa TSN-880 Series spotting scope. 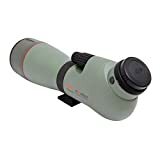 Considered by many to be the highest end of the highest end spotting scope options available today, while at the same time still not the most expensive of all the spotting scopes money can buy, the Kowa TSN-880 Series has a legendary reputation for birdwatchers, hunters, target shooters, and major observers all over the world. Completely outfitted with the kind of high-quality glass and optics that allow you to feel as though you are standing right next to your target even hundreds of yards up range, this is a premium solution for those that need to depend upon optics that are going to “just work” in almost any condition imaginable. The Kowa company was established in 1894 and has been responsible for producing only the highest quality optical equipment and truly state-of-the-art scopes, binoculars, and spotting scopes ever since. Currently the fifth largest trading company in all of Japan, this company has had the opportunity to build a legendary reputation for top-quality options not just in Asia but as well as throughout Europe and both of the Americas. In 1952, the electronics and optics division of the Kowa company began producing high-quality spotting instruments. Designed specifically to be used in the Tokyo Olympic Games of 1962, these scopes have gone on to become the “gold standard” in the industry – and once you peer through the eyepiece it’s effortless to understand how that came to be. Of all the different spotting scope model ranges this company produces, the Kowa TSN-880 Series has to be one of the most popular and certainly the “flagship” option money can buy right now. Known individually by birders as the very best of the best spotting scopes available, and considered by hunters, nature photographers, those that spend a lot of time looking through binoculars and scopes to be as quality a set up as you can find, the Kowa TSN-880 Series spotting scope is really something special. Right out of the box, you’re going to be able to take full advantage of the Kowa TSN-880 Series spotting scope angled body as well as a host of key accessories that put this package over the top of most other premium options. Built on the back of more than 50 years of spotting scope engineering and design principles, this unit features an 88 mm Prominar objective lens that is made 100% out of your fluorite crystal. This eliminates chromatic aberration completely. On top of that, you’re going to be able to enjoy an extra wide aperture that seemingly vacuums light into the body of this spotting scope so that you can use the Kowa TSN-880 Series in almost any light condition whatsoever outside of complete and total pitch dark. An inner focus mechanism decreases the amount of image movement that you’ll deal with when you are focusing, and the dual focus knob control system allows you to “quick focus” on an object as well as to find to dial in that focus once you have your image locked in. The Kowa TSN-880 Series spotting scope also comes with a soft-sided case, a heart sided case, eyepiece locking mechanism, and a tripod mounting system. The mounting system is one of the most intuitively designed systems we’ve seen in quite a while, but it is pretty much standard equipment on all of the Kowa brand spotting scopes out there – just another benefit in bonus you get when you choose to forward with equipment from this company. As we highlighted above, the 88 mm pure fluorite crystal in the lens configuration of the Kowa TSN-880 Series spotting scope completely eliminates chromatic aberration across the board. This is going to result in only the crispest, clearest, and finest definition image possible with a scope of this caliber – something you’re going to notice and appreciate the first time that you put your eye to the eyepiece. Another game-changing feature of the Kowa TSN-880 Series has to be the complete magnesium alloy body system that the engineers at Kowa came up with. This dramatically decreases the overall carrying weight of the scope while still providing for a rigid structure that can stand up to anything Mother Nature – or mankind – can throw at it. This is an incredibly durable spotting scope you’ll be able to utilize in any situation with while fear of dings and dents. The housing of the Kowa TSN-880 Series spotting scope is also 100% waterproof but it’s also filled with nitrogen gas. This allows this spotting scope to enjoy a waterproofing rating of JIS Protection Class 7, and the nitrogen fill up prevents any kind of condensation and fogging up as well. It will be almost impossible for you to find even just a handful of things wrong with the Kowa TSN-880 Series spotting scope. This is as top-quality and option as you are going to be able to find on the market today, the kind of premium grade option that suits most any hunter, shooter, birdwatcher, or nature observer right down to the ground. The $2000 plus price tag might to some it could be considered a drawback of sorts, but at the end of the day you are getting a lifetime of usage of this spotting scope and won’t ever have to purchase another! At the end of the day, there’s a reason why so many people trust the Kowa TSN-880 Series brand over all others when it comes to truly premium spotting scope options. If you’re serious about getting your hands on a legendary piece of equipment that isn’t going to disappoint you or let you down anytime in the future, the kind of equipment you can depend on for literally years and years to come, you need look no farther than the Kowa TSN-880 Series spotting scope. This really is that special a piece of optical equipment! Should I Get My Propane Tank Re-certified?